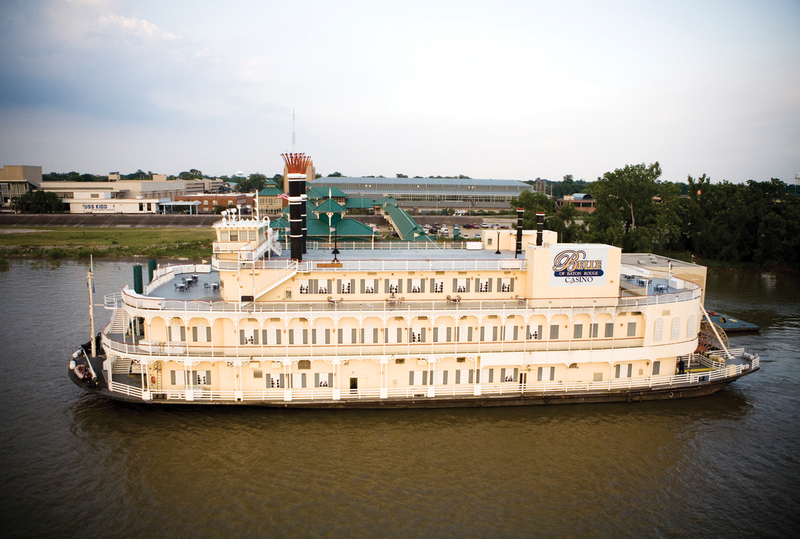 Executives with Eldorado Resorts, the new parent company of the Belle of Baton Rouge, are considering investment options to upgrade the the gaming facility, Jim Rigot, the Belle’s new general manager, told the Downtown Development District Board of Commissioners this morning. Rigot, who served as general manager earlier in the decade at Hollywood Casino, says the company is exploring several options, including bringing the casino on land or converting the gambling space into one floor, instead of multiple levels. He says the decisions are out of his hands, but he’d like to see investments made into every aspect of the Belle, and would support moving the casino on land. “If you’re not constantly reinvesting in your product, you pay the price ultimately. I think that’s where we are,” Rigot says, adding the property isn’t competitive anymore compared to other casinos in the region. A team from Eldorado Resorts will be visiting the Baton Rouge property later this month to brainstorm possible investment scenarios before making any recommendations to the company’s board. In a November conference call, Eldorado Chairman and CEO Gary Carano told investors it would be “highly unlikely” the company would do anything at the Baton Rouge property based on its early analysis there, opting instead to invest in its Lake Charles property. Rigot says the company is looking for a return on investment. They’ll work to identify where opportunities are in the Baton Rouge market and deciding if the ROI would be worth the investment.